"Hagi-chan": in the video, Matsukaze often Hagiwara-san this way in several places. It is a friendly/affectionate way of abbreviating his name, reflecting the good-natured relationship the two have. Reference to "Muecas": this was the official Shenmue fan group in Japan (see this post on a Shenmue Comic for more details). Matsukaze trying his hand at Mandarin Chinese: Wǒ ài nǐ (I love you), Zài jiàn (See you), Nǐ hǎo ma? (How are you?). Reference to "West Shinjuku": this is a skyscraper business district of Tokyo. Reference to crab cuisine: the crab season of autumn is an important part of the culinary scene in Shanghai each year. Reference to "Dou Niu" in the credits: Masayuki Kumagai, credited for "narration" on the video (perhaps the voice of the interviewer? 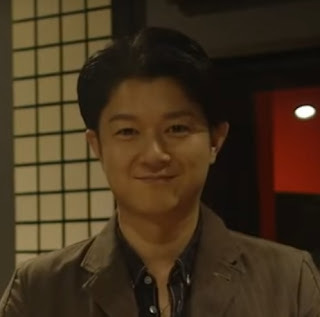 ), was the Japanese voice actor for Dou Niu in Shenmue II. 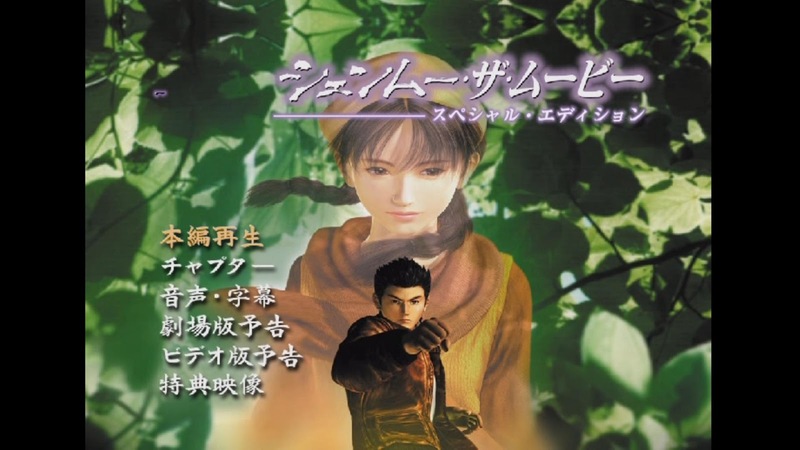 The introduction text in the video states it was filmed in August 2000, but I suspect the year should read 2001, the year of Shenmue II's release in Japan. Reference to "Action Demon King": the name of a 3-set comic book series published in 1995. 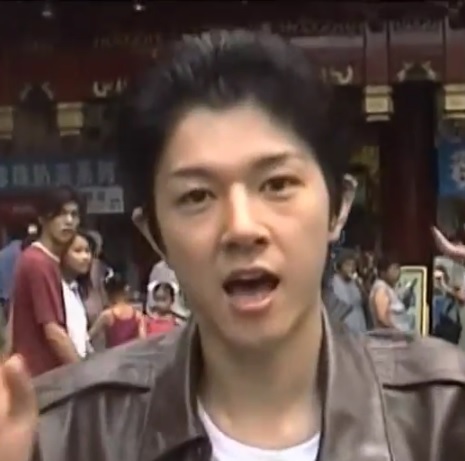 Video: "Making of a Shenmue II Commercial in Shanghai"
As per a previous Kickstarter update, it is good to know that Masaya Matsukaze's return has been confirmed as the Japanese voice for Shenmue III. As for Hagiwara, his current whereabouts appears to be unknown. Thanks to the Shenmue Dojo's Ziming for preparing and hosting the video, and to BlueMue who provided a new, high-quality movie capture from DVD. Thank you also to Kiyuu for the correct names in the credits. 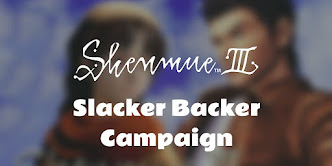 As an aside, BlueMue's YouTube channel has one of the best collection of in-depth Shenmue videos around, from rare scenes to amusing mods, play-throughs, voice collections and more. I highly recommend checking out his channel. Make sure to subscribe while you're there, as new videos are released regularly. Check out BlueMue's YouTube channel here. What did you think of today's video - was the style of humor to your taste? Great post, funny video in which they have great chemistry with each other. 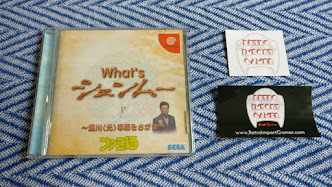 Great to finally see some Shenmue related stuff I haven't been privied to in the past. I Don't always comment but know I read & appreciate all your posts on your blog. Top work Switch. Comments like this do wonders for my motivation to keep rolling out the content! Pleased to hear you found it funny too - I can't help smiling at their antics, no matter how many times I watch it. Glad to know that you love their "antics" that much. You know that they didn't go all the way to Shanghai just for this, shooting a slapstic video, don't you? 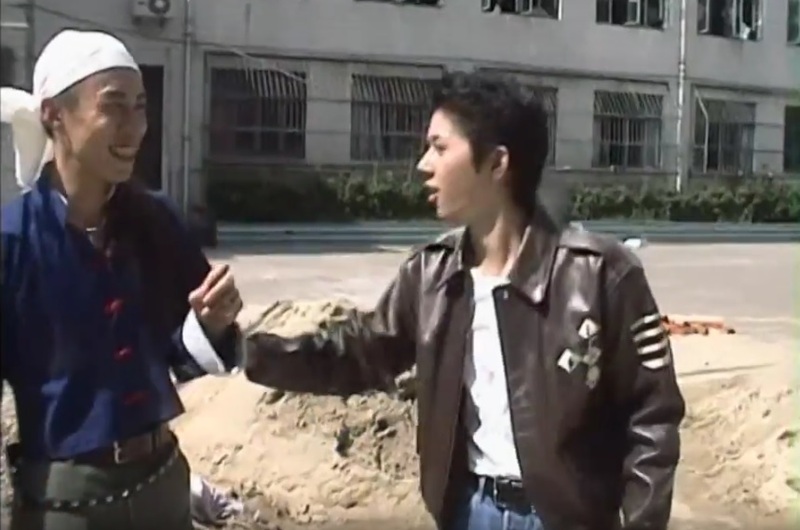 They were there for actual filming of the Shenmue II TV commercials, the ones you see in this video, except the last one. The last line of "何が起こるか分からない" was said by Hagiwara-san, btw. As I remember, the actual schedule was a bit altered, though. A lot of interesting extra information! I've haven't seen that last video before. Thanks Kiyuu. I see, so they filmed their video on the same trip as the proper TV commercials. Actually I suspected they might have, because they visited the same Shanghai Film Park, but I wasn't sure. I couldn't tell it was Hagiwara-san who did the voice-over at the end! By the way, although I can see they put a lot of effort into making those TV ads, it made me wonder why they didn't just use these two guys in the real commercials too. There's a 2001 Dorimaga interview with them where they mention the TV commercials briefly too. (I'll post up an English translation of it here on the blog one day soon). >I couldn't tell it was Hagiwara-san who did the voice-over at the end! Yeah, I didn't notice it until AM2 revealed it's his voice. He could sound different when he tries to be serious, just like when he played the interviewer in the video you translated. >why they didn't just use these two guys in the real commercials too. True. Japanese fans were disappointed with the CMs as we were expecting something different; more Shenmue-like ones, with no guns. You couldn't even tell they're ads for a video game. >There's a 2001 Dorimaga interview with them where they mention the TV commercials briefly too. > You couldn't even tell they're ads for a video game. Yes, I think this is their biggest problem. I have a feeling they would hardly have helped sales at all. 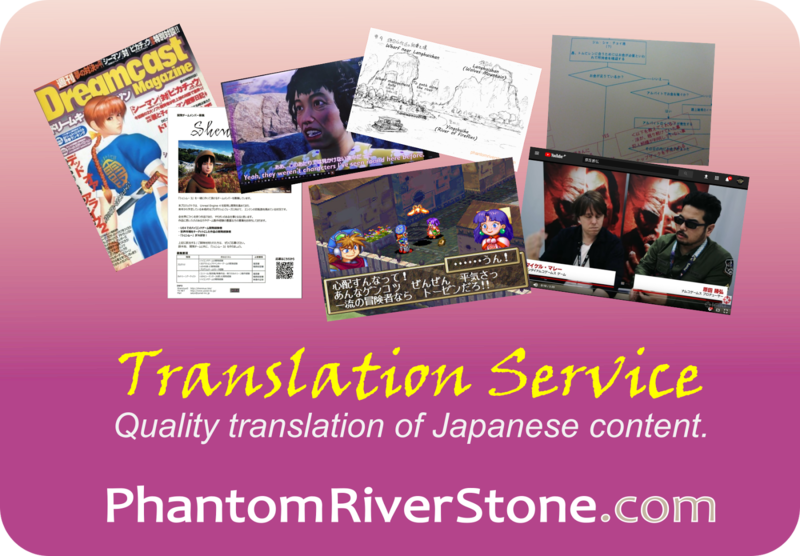 > Yeah, you've already translated the article for the Dojo, have you? That's right. I think it's worth posting up again here. Wasn't it... I certainly wouldn't have known they were in it if they hadn't mentioned it in the interview! Great work translating, hope Hagiwara returns for S3 too... Any news on Hazuki Ishigaki? Thanks! About Hazuki Ishigaki, I believe she announced her retirement from the entertainment industry in 2005. It would be great if she would return for S3 though.